CICECO » Catalysts: What Can We Learn from Computer Simulations? Catalysts: What Can We Learn from Computer Simulations? 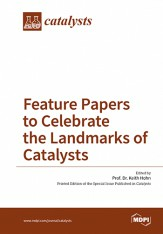 chapter title	 Fischer-Tropsch Synthesis on Multicomponent Catalysts: What Can We Learn from Computer Simulations? abstract	 In this concise review paper, we will address recent studies based on the generalized-gradient approximation (GGA) of the density functional theory (DFT) and on the periodic slab approach devoted to the understanding of the Fischer-Tropsch synthesis process on transition metal catalysts. As it will be seen, this computational combination arises as a very adequate strategy for the study of the reaction mechanisms on transition metal surfaces under well-controlled conditions and allows separating the influence of different parameters, e.g., catalyst surface morphology and coverage, influence of co-adsorbates, among others, in the global catalytic processes. In fact, the computational studies can now compete with research employing modern experimental techniques since very efficient parallel computer codes and powerful computers enable the investigation of more realistic molecular systems in terms of size and composition and to explore the complexity of the potential energy surfaces connecting reactants, to intermediates, to products of reaction. In the case of the Fischer-Tropsch process, the calculations were used to complement experimental work and to clarify the reaction mechanisms on different catalyst models, as well as the influence of additional components and co-adsorbate species in catalyst activity and selectivity.